Courtesy of some local grill, my dad's favorite. 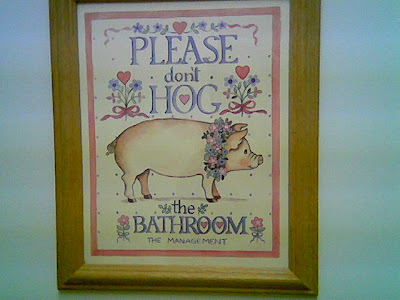 "Please don't hog the bathroom." That's rich.